Hey there. 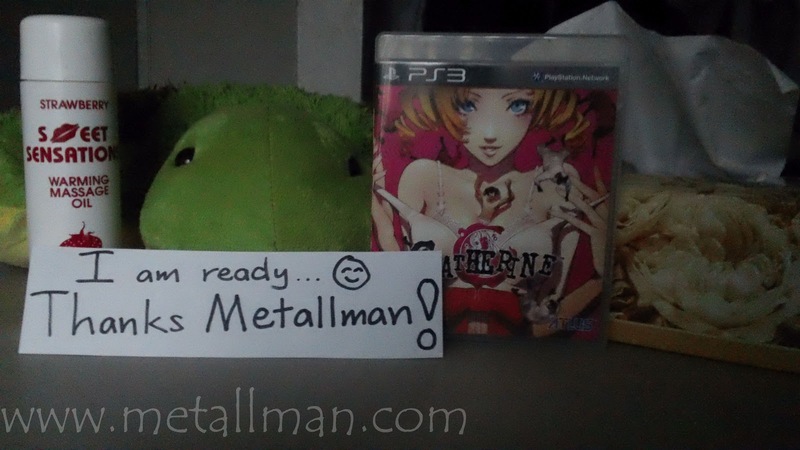 Check out this awesome pic that I received from the winner of the Catherine game! It looks like Kyle is ready for some gaming tonight! lol Thanks for the great pic! It's one of the more creative ones I've received. Their 'Contests and Free Stuff' section was the main reason that led me to your awesome site! It's the only resource I use to find cheap deals on games, movies, etc. You can also trade video games on their site with other users. So there you have it! Cheapassgamer is the place to go for awesome gaming deals. Thanks again for the great picture, Kyle, and I hope you stick around for all upcoming game giveaways! Thanks! Sweet pic, sweet quote, sweet giveaway. each performed on 500 subjects, the meta-analysis is equivalent to performing one study on 5000 subjects. By far, no coherent clinical studies show, with utmost certainly, that transdermal diet patches really work.